Uber has invested in British start-up Memrica as part of its UberPitch programme to unearth interesting new businesses. Memrica is one of four European start-ups to win undisclosed investment from Uber, with other winners from France, the Netherlands and Poland. According to Uber, 4,000 ideas were pitched in the first week of the competition, with founders pitching to investors in the back of an Uber cab. Memrica was the only European winner with a female founder. Memrica was founded by Mary Matthews, a former journalist with a background in gaming innovation. It comprises an app to help people remember everyday details about their relationships with others, and is targeted at baby boomers who may be in the early stages of dementia, or recovering from a stroke or brain injury. The service is in open beta, being trialled by around 150 users. It is based on accepted techniques used by those coping with mental afflictions, such as leaving notes and reminders in noticeable places around the house. The team also worked with the Alzheimer’s Society and brain injury charity Headway to shape the service. Rather than pinning a note to the fridge, Memrica’s users, and their friends and family, are encouraged to make notes in the app over time. The app then uses machine learning, artificial intelligence and natural language processing to extract the most important details from the notes to create reminders. One example given by Matthews is that a user might tell the app her son was coming for lunch at a particular time. Closer to the appointment, the app might remind the user that the son hates mashed potatoes. "It’s about the fabric of life we all take for granted, that shared history which gives us those contact points with people," says Matthews. "For some people, that is not instantly accessible." Some aspects of the technology are still in development, but the idea is to make users feel less isolated and more confident. The app isn’t targeted at the very elderly, but those who still feel active, independent and involved in society, but may be suffering memory issues. "Typically, because they lack confidence of being out and about and talking to people, they feel really embarrassed," says Matthews. "That leads to depression and makes the memory problem worse." A possible flaw is that it might be difficult to note down key details about someone after you've just had a conversation with them, but here Matthews points to the fact that family and friends can add details to the app via a web dashboard. Originally, Matthews conceived the app as an augmented reality service which overlaid information about people over their faces. She considered using an AR app for this, but found that it’s still socially uncomfortable to hold a phone up to a person’s face. She then considered Google Glass, but the idea began racking up costs. Despite initial positive feedback, she abandoned these ideas for the current iteration of Memrica, which she plans to launch as a minimum viable product in September. Matthews is not a trained developer but set up the Serious Games Institute at the University of Coventry to examine the use of gaming in research. An earlier iteration of Memrica began when Matthews’ sister passed away after a motor neurone disease diagnosis, and she wanted to build something that would spark memories of her. The original version of the app overlaid digital photos over real-world objects connected to Matthews’ sister. The team behind the current version of Memrica comprises Matthews, one full-time developer and a network of freelancers. The start-up is also backed by internet trust Nominet and Matthews is in discussions with two NHS Trusts over building out the product specifically for patients with brain injury. 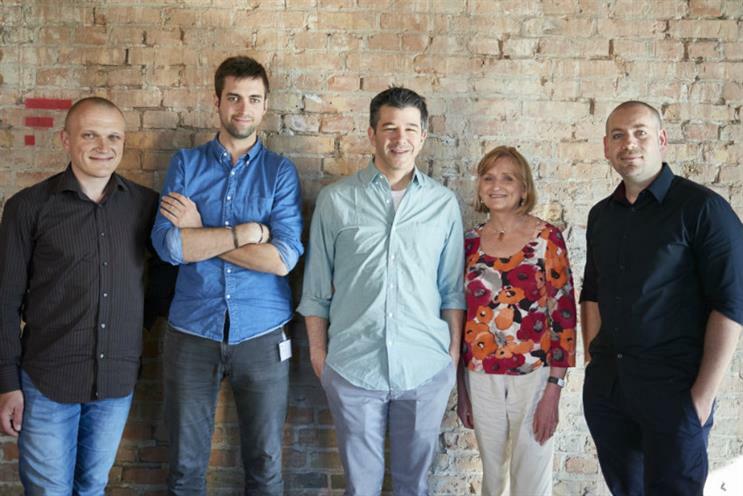 After pitching to a local investor for UberPitch, Matthews flew to Berlin to meet chief executive Travis Kalanick, who she described as a politically savvy "showman" as well as an engaged entrepreneur. "The money is great but actually, the fact is that you’ve got Uber on board, they recognise you are a business that could make an impact," she said. "It's such a confidence booster and profile raiser."